Great arvo on the BotF with some real beer people joining illiards and bladdamasta out the back. Always great when Sydney turns on an afternoon that makes sunscreen suppliers happy. Our inductee this evening has been leading the good fight for craft beer for a long time. 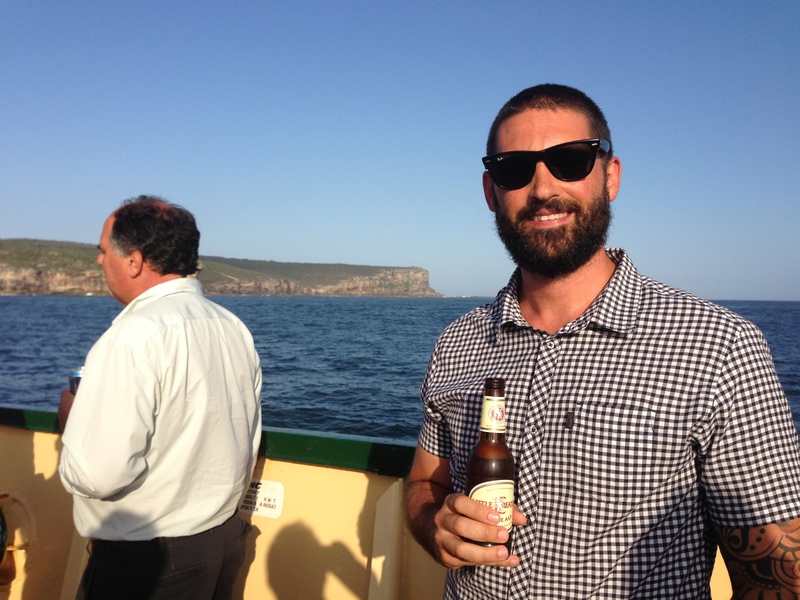 That fight has been waged in a part of Sydney foreign to BotF and their insular peninsula origins and we were more than happy to give Dan (aka BeerSnobs) a look at the northern beaches take. A trip to Blackets, a trip to 4 Pines and a trip to Murrays was a good start. After spending a good part of the evening with Dan – he’ll go close to winning any trivia comp where Craft Beer is in the bonus round.